Pets are abandoned for a myriad of reasons. Some people cannot afford to care for their pets anymore so they dump them somewhere. Some people are just outright insensitive and uncaring. They find their pets unmanageable or they simply dislike their pets so they abandon the animals. From cruelty to preference, there are many factors that influence people to get rid of their pets. For cats, age and health are two most significant reasons why they are abandoned. In many cases, people cannot afford to spay and neuter their male cats. This leads to unmanageable and unpredictable problems. Hence, pet owners choose to just abandon their feline pets. They could surrender the pets or look for another family that might be willing to take them in but abandoning seems a simpler solution for many. In one such case of abandonment, a cat who was later named Nostrand was abandoned in Brooklyn. He was so named because he was found on Nostrand Avenue. 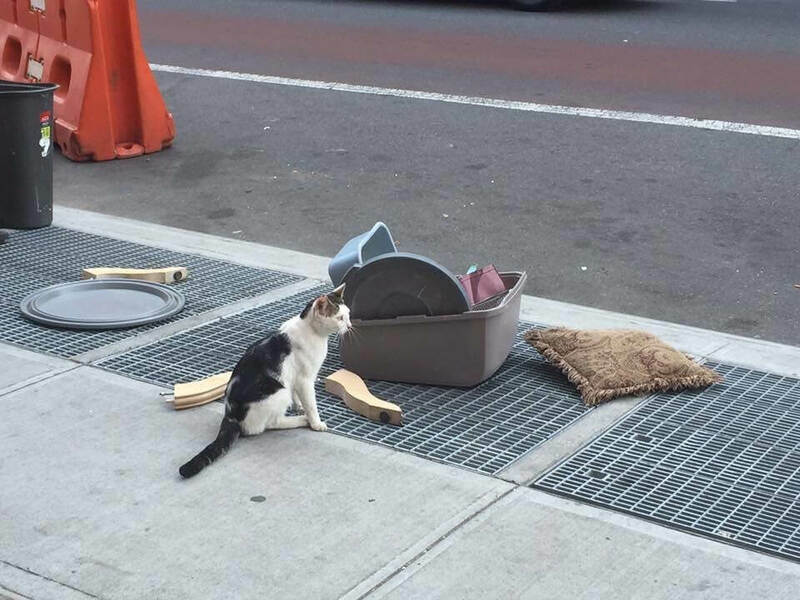 Someone had left the cat by the road with cat supplies and litter box. It is not very common to find cats dumped with supplies and their little world. Mostly they are just dumped in a bag or with a piece of blanket. Some just let the cat loose without anything. Nostrand was first photographed by a local and the cat was crying. 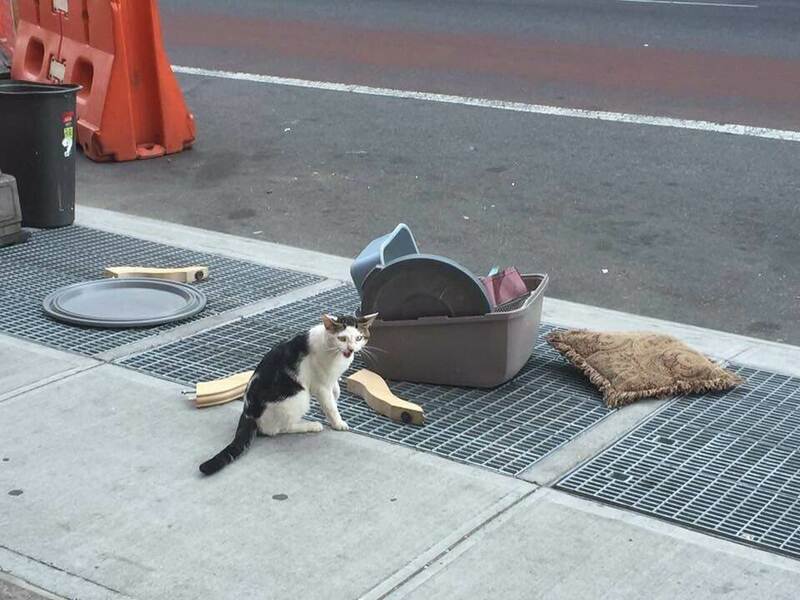 Meredith Ferrel who spotted the cat and took the photo shared it on Facebook using the page of Flatbush Area Team for Cats. What Life Of Labrador Consists Of…? This Will Make You Smile!